Being a political hack means never having to say that you are sorry. Two days after the attempted assassination of Congresswoman Gabrielle Giffords, the killing of 6 others including Federal Judge John Roll and the wounding of 13 others we are subjected to the incessant finger pointing and denial of responsibility by politicians but even more so by political pundits and talk show hosts. Partisans on both sides are pointing fingers at the other and attempting to place blame on others for the acts of a mentally disturbed individual who seems to have a rather eclectic set of influences. Of course we know very little about Loughner other than to know that he is obviously quite disturbed with a diversity of political influences from the Communist Manifesto to Mein Kampf. Loughner ranted almost incoherently vague references to the Constitution and unconstitutional Federal and State laws, the Gold Standard, illiteracy, distrust of the current government and government controlled currency as well as alleged government mind control. In other words this angry and disturbed young man who also seems to come from a pretty strange family I might add does not fit your traditional liberal or conservative archetype. In spite of this pundits and politicians of all stripes have made haven’t missed a beat in placing the blame on their political enemies. I don’t say their political opponents because they actually do hate each other and are intent on destroying each other and the country as we know it I might add. I thought it unwise for Democrats to try to pin this on the Tea Party without evidence and I thought it was absurd and incendiary for those on the right to make hay of a singular statement by someone that hasn’t seen Loughner in 4 years that Loughner is a liberal Democrat. For crying out loud both of these charges without conclusive evidence were blatant attempts to gain political leverage out of a tragedy by throwing out innuendo as if it were fact and then ignoring any repercussions. There was a brief moment when many hoped that the vicious rhetoric would be toned down after the terrible evil perpetuated by Jared Lee Loughner in Tucson. That is not the case and I said it would not be so. Like I have said before it seems that the extremists on both sides are willing to destroy the country in order to save it to borrow and slightly modify the phrase from the Vietnam War. It doesn’t matter if it is Keith Olberman or some Democrat Congressman on the left or Rush Limbaugh, Sean Hannity, Neil Boortz, Michael Savage or Ann Coulter on the right there is simply no regard for truth. It is all about destroying the other side, demonizing them and finding some way to gain a political advantage from tragedy. The political Left is guilty of some pretty crass and opportunistic behavior in many cases but the loudest and most heard voices are on the right particularly the “conservative” talk radio hosts. This is a fact as all of them proudly proclaim. By their own proclamation they are the ones making the impact and who people are listening to and ratings show it. For goodness sakes the Left has so little clout in this country it is not even funny despite claims of “media bias” so loudly chanted by the Right. Which is the most popular Cable News Channel? Fox News I think. Who gets the biggest radio rating? Limbaugh followed by Hannity, Savage and Boortz I think. Which are the most popular political websites? I think that internet traffic points to Worldnetdaily.com, Newsmax.com and Townhall.com. For conservatives to complain about media bias is ludicrous now. They own the airwaves. Thanks to people like Dan Rather much of the “mainstream” media is discredited in the eyes of the American people. Yet almost to a man those on the right keep crying about anyone who claims that they might be responsible on the intellectual level of people, both the sane and the insane who commit heinous acts which correspond with things that they preach. In particular in the case of Congresswoman Giffords who protested outside her office? I think that it was the Tea Party. When was her office door shot out? I think that it was after she voted for the Health Care bill if I am correct. Who opposed the Health Care bill? I think it was conservatives. Who dropped a handgun at one of her rallies? Maybe it was a liberal supporter of the congresswoman? Not hardly. Which former Vice Presidential candidates PAC put a gun sight target over her district and left it up after the election? I think that was Sarah Palin. Whose Republican opponent urged his supports to come out with their M-16’s to support him? I think that it was Mike Kelly who ran against her in 2010. Need I say more? Yes Jared Lee Loughner is a paranoid nutcase and probably will be ruled insane at some point. But people like him roam the streets easily influenced by extremists and radicals that stoke the fires of hatred. I don’t want to sound pessimistic but we are jumping headlong into the abyss and those of us moderates who want to see us back away from it are derided and in the case of Gabrielle Gifford shot in the head after repeated violent threats. I know what it is like to be threatened by violent deranged Neo Nazis on this website. It is frightening as hell to have people say that they will find you and harm you, hell I felt safer in Iraq than I do in this country. It is appalling yet the extremists don’t give a damn. They will destroy us all, even people that agree with them on some points. I know something about the spirit of conservative talk radio. I was an avid listener from the mid-1990s until I returned from Iraq. I listened to Rush, Hannity, Boortz and Savage as often as I could and I can tell you that they are experts at manipulating facts and words to stir up the raw emotion of hatred of the left. They all ask for hours of peoples time with good reason. When someone listens to the same message for hours on end eventually that is what they believe to be the truth. When that is multiplied for 3, 6 or even 10-12 hours a day there is no other truth to believe. From personal experience I can say that their tactics work well. They work their listeners into a rage against their political opponents creating anxiety and a sense of being victimized by the left wing media and political alliance. I know I listened for years and my wife can attest to how angry I was. When I came back from Iraq with a changed perspective I realized what had happened to me in those years. I have also listened to the left wing equivalents and with the exception of the invective of Keith Olberman they are little match for these guys. 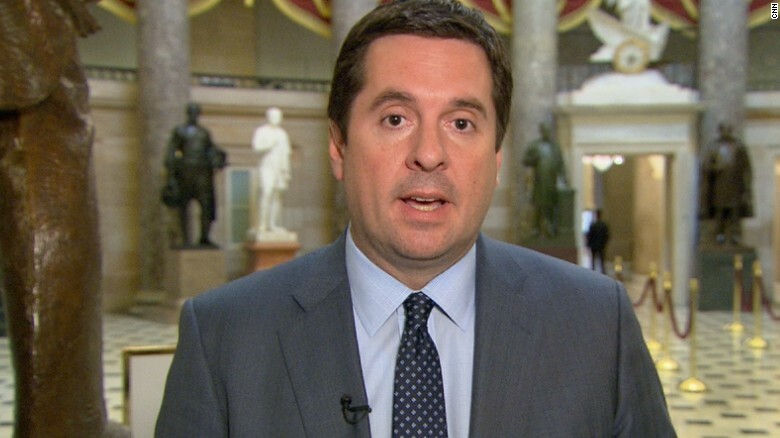 They command the airwaves and their internet presence is amazing and with a Republican-Tea Party controlled House they will not be silenced even if the left calls for the reinstatement of the so called fairness doctrine. One of the last Chancellors of the Weimar Republic was General Kurt Von Schleicher. Von Schleicher who saw the dire threat posed by the extremes on the left represented by the Communists and the right by Hitler’s Nazi Party attempted to piece together a coalition of moderate parties which fell apart. Schleicher was then betrayed by conservative Franz Von Papen who then arranged for President Paul Von Hindenburg to appoint Hitler as Chancellor. After he took power Hitler swiftly eliminated opposition parties and during his purge of his own radical SA Brownshirts exacted his revenge of previous political opponents including Von Schleicher who was killed at his home along with his wife. So much for moderation, what good is it anyway? Von Schleicher was killed, Giffords grievously wounded. Unfortunately that is the fate of moderates in any country where extremists battle for power. That is history and the verbal bloodlust being perpetrated by the extremes but in particular the right which has been much more militant of late than the left which will destroy our Republic. Mark my words. If I’m wrong I will admit it and plead forgiveness, but I know from history where we are going and it will not be kind. God help us all. During the turbulent history of Weimar Article 48 was used by the Socialist President Friedrich Ebert who had to guide the country through the collapse of the monarchy, the humiliation of Versailles, the period of hyperinflation as well as an attempted takeover by those who wanted to implement a Soviet government as well coup attempts from the political right. After Ebert’s death in 1925 Field Marshal Paul von Hindenburg was elected President and during the economic, political and social crisis brought about by the Great Depression invested the conservative Chancellor Heinrich Brüning with the powers of Article 48, something that he also granted to Brüning’s successors Franz von Papen, Kurt von Schleicher and Adolf Hitler. Sections 114, 115, 117, 118, 123, 124, and 153 of the Constitution of the German Reich are suspended until further notice. Thus, restrictions on personal liberty , on the right of free expression of opinion, including freedom of the press , on the right of assembly and the right of association , and violations of the privacy of postal, telegraphic, and telephonic communications , and warrants for house-searches , orders for confiscation as well as restrictions on property , are also permissible beyond the legal limits otherwise prescribed. ARTICLE 2. 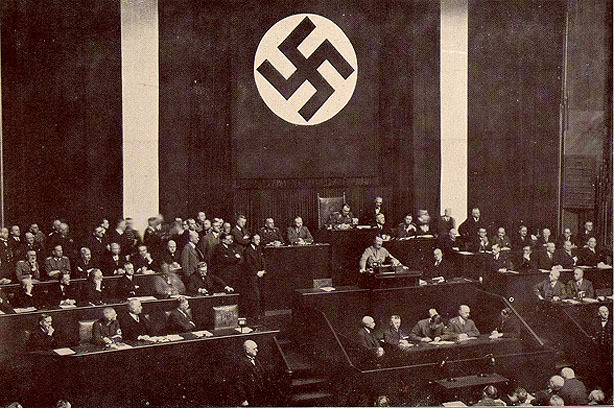 The national laws enacted by the Reich Cabinet may deviate from the Constitution provided they do not affect the position of the Reichstag (low house of Parliament) and the Reichsrat (the Upper House). The powers of the President remain unaffected. ARTICLE 4. Treaties of the Reich with foreign states which concern matters of domestic legislation do not require the consent of the bodies participating in legislation. The Reich Cabinet is empowered to issue the necessary provisions for the implementing of these treaties. ARTICLE 5. This law comes into effect on the day of its publication. It ceases to be valid on 1 April 1937 or if the present Reich government is replaced by another. The Enabling Act was passed by a majority of the Reichstag by a vote of 441 to 96. The Communists had been banned and had no representation, the center and right cast aside their reservations and voted for it and only the Socialists led by their Chief Otto Wels voted against it. For their trouble most of the Socialist deputies would be imprisoned, go into concentration camps or have to flee the country. and by that time no one was left to speak up. . In times of crisis people seek security and stability and are often willing to sacrifice constitutional liberties to do so. Unfortunately when a people and nation willing abrogate their constitutional rights and protections by legislative action or executive order in the name of security and safety they ensure that they will lose all. The German political parties that voted in favor of the Enabling Act included cultural and religious conservatives. Most of these people feared a potential Communist takeover and continued political and economic instability more than surrendering their rights and freedoms. Unfortunately it is my belief as well as that of many civil libertarians on both sides of the political divide that we have set the stage in this country for a totalitarian state. Our legislature passes massive bills which none have read that are so Byzantine that no one can understand them which often give nearly unchecked power to unelected bureaucrats in government agencies and often serve to grant more power to the Executive Branch at the expense of Congress, the Courts and State governments. Such legislation passed under conditions where people believe a crisis exists includes the Patriot Act of 2001, the Intelligence Reform and Terrorism Protection Act of 2004, the Emergency Economic Stabilization Act of 2008 the Troubled Asset Relief Program (TARP) of 2008 and the Patient Protection and Affordable Care Act (PPACA) of 2010. Most of the people that voted for these laws certainly believed that they were doing the right thing, but all contain provisions that give unelected and unaccountable bureaucrats unheard of power over the daily lives of Americans and contain provisions that sacrifice individual rights and liberties. There are numerous other examples which in conjunction with Presidential Executive Orders and Directives, some public and many secret that provide the Executive Branch willing to use them almost unbridled power. Under normal conditions no President would attempt take full advantage of such powers nor would most people accept such a power grab, but history shows that under emergency or crisis conditions people and legislatures willingly surrender liberty for supposed security. In Weimar Germany the catalyst was the fear of Communist takeover in the midst of economic crisis that created the conditions by which non-Nazi citizens and political parties surrendered their liberties. In the wake of the attacks of September 11th 2001, continued terrorist threats, two wars, economic crisis, the collapse of the housing market and the ineffectiveness of government leaders at the Federal and State levels the United States in a place where many people may accept an authoritarian or totalitarian regime so long as we are safe and the economy gets back on track. Instead of a Communist threat we have a Muslim extremist terrorist threat. Instead of the Great Depression we have a world economy on the brink of collapse. People are fearful; millions are going bankrupt or losing their homes and jobs and more seem to be willing to surrender freedom just to be safe and have some semblance of an orderly society again. You really can’t blame people for wanting a return to an America where it is safe and the economy is doing well there is nothing evil in that desire. Unfortunately history shows that there are those that will exploit people’s fears and longings to gain unbridled power and once they have it will stop at nothing to keep it. In 1933 the German people surrendered their rights and freedoms for the promise of safety, security, economic recovery and a return to national greatness. The question that I have to ask is will the people of the United States of America do the same in the next few years? I think the answer is obvious. It will only take a successful terror attack on the United States Homeland, an economic collapse or a government shutdown to force the issue. People will demand results and will welcome whoever can deliver those results. We have already shown what people will accept in order to travel by commercial air and from that it is but a small step to accepting such measures in the rest of life. Get ready folks it will be a joy.